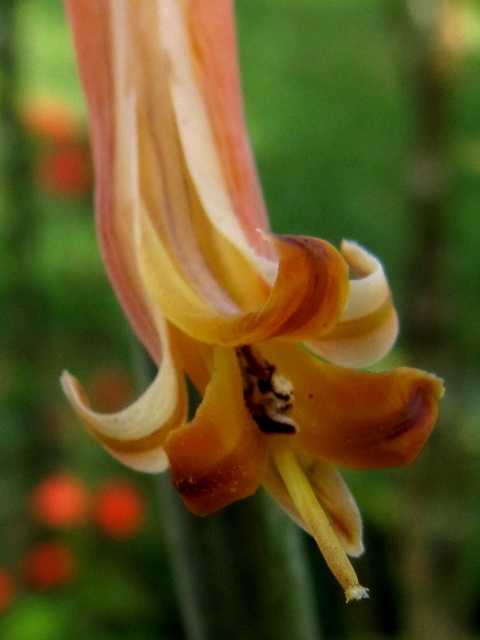 No gardener should be without at least one Aloe Vera plant. 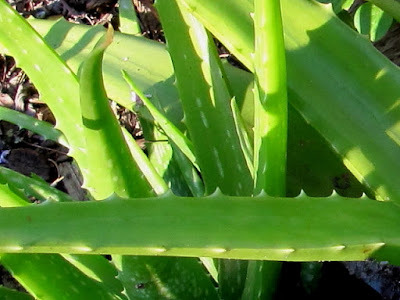 Scrapes and thorn pricks, mosquito bites, sunburn, what ever ails the skin benefits from the cooling and soothing gel that's inside an Aloe Vera leaf. Just cut off a piece of an Aloe Vera leaf and apply the gel to the affected area. There are no significant Aloe Vera side effects with its use as a topical remedy. 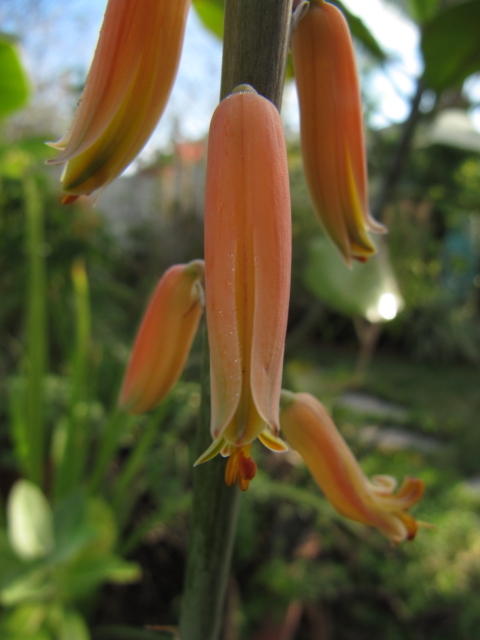 I love those pendant like blooms of the Aloes. Truly beautiful - but never seemed to find one bloom in my garden.